3D models and an interactive website are part of the solution to locate the billions of plastic pieces adrift in the ocean. The other part begins with you. A careless beachgoer in Lisbon drops a plastic bottle into the ocean. In just a few years, it crosses the Atlantic and washes ashore in the Bahamas. During its journey, the bottle is exposed to sun and salt, battered by waves, and colonized by algae. It breaks into smaller and smaller pieces, but never disappears. 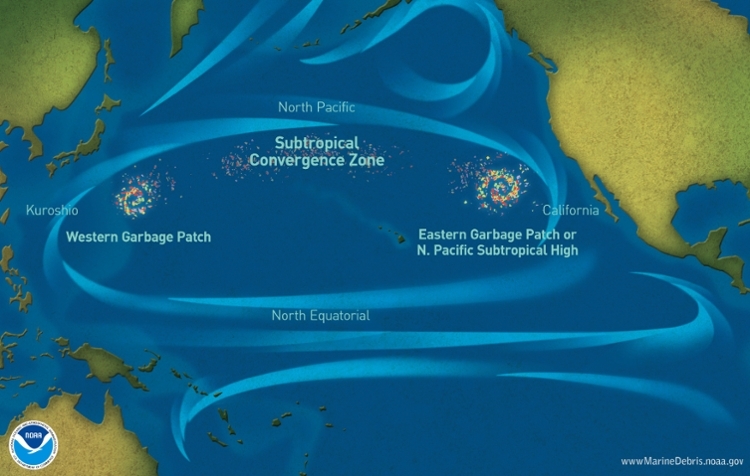 It joins the other 5.25 billion pieces of plastic that persist in the ocean — enough floating garbage to encircle the equator more than 400 times. Message in a (plastic) bottle. 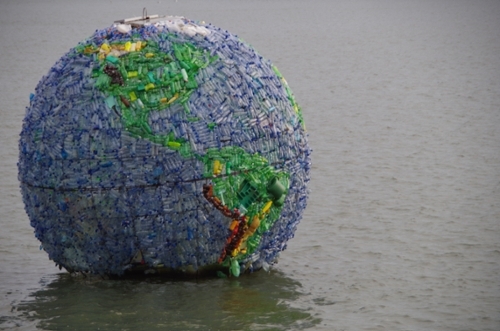 "In some regions of the North Pacific there's more weight in plastic than there is in life." Courtesy the University of New South Wales. 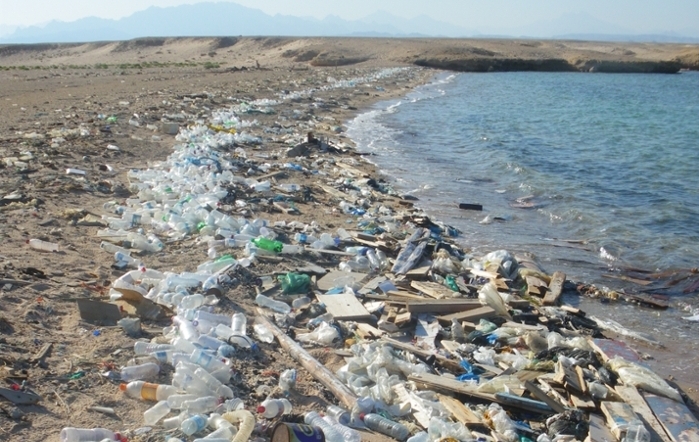 Humans have only been using plastics for a few decades, but the impact has been devastating. Birds, fish, and other sea creatures become entangled in plastic debris or ingest it, often leading to death. Plastic degradation may also release Bisphenol A, a synthetic compound that can cause reproductive disorders in shellfish — and the humans who eat them. Identifying areas where large amounts of plastic enter the water could help those regions develop targeted policies to reduce waste and raise social awareness about the hazards of plastic litter. That’s why oceanographer and climate scientist Erik van Sebille, created the interactive website Plastic Adrift. Click anywhere on the world map to drop a rubber duckie into the ocean, and an animation projects the likely path and destination of floating debris over a ten-year period into the future. To simulate the movement of plastics on the surface of the ocean, van Sebille relied upon historical data collected from drifter buoys maintained by the US National Oceanic and Atmospheric Administration’s (NOAA) Atlantic Oceanographic & Meteorological Laboratory (AOML) in Miami, Florida. Afloat since the late 1970s, the global drifter program now consists of around 1,000 buoys that follow the ocean surface current and transmit location and other data to the Iridium satellite constellation every few minutes. By analyzing the drifter buoy dataset, van Sebille developed a transition matrix that predicts the probability of moving from any part of the ocean to any other part of the ocean within a given time frame. Initially interested in the scientific question of how long it took water to circulate from the southern tip of South Africa to the southern tip of Greenland, van Sebille soon discovered that his model also predicted the movement of plastic debris. “It was a case of first having the tool, and then discovering what it was useful for,” explains van Sebille. His first paper on the subject predicted an accumulation of plastics in the Arctic Ocean, similar to the known garbage gyres in the North Atlantic and North Pacific. But at the time, no such accumulation had been reported. Only a few months ago, van Sebille’s predictions were confirmed: there is indeed plastic in the Arctic, in exactly the places the model predicted. For all their staggering size, the vast areas of accumulated plastic floating on the surface account for only one percent of all the plastic that has ever entered the ocean. Van Sebille now aims to locate the other 99 percent. “We know that there is plastic on the seafloor, plastic on beaches, and plastic inside the stomachs of marine animals, but we don’t know how much, and we don’t know where,” he says. Thanks to a recent European Research Council grant, van Sebille and his colleagues will now create a three-dimensional model of how all plastic moves through the ocean. After performing studies to determine which mechanisms act upon ocean-borne plastics, they will use the Netherlands’s biggest supercomputer, Cartesius, to simulate how fast the plastics break down and how quickly they sink to the sea floor. Unlike the simple matrix that predicts the movement of surface plastics and which can be run on a laptop, the new study will need to simulate billions and billions of virtual pieces of plastic churning through the ocean. Even if humans stopped using plastics tomorrow, the 268,000 metric tons already in the world’s oceans will remain for hundreds of years. Computer science is one tool to help locate all the lost pieces that will help us in the monumental task of cleaning them up.